Tag Archive | "Financial services"
One reason we need global investment income is that the US dollar is falling… and more. Yesterday’s political turmoil is the most serious we have seen in our fifteen years there. This may enhance opportunity in Ecuador long term… but also reminds us of the need to diversify. the fall of the greenback… Ecuador’s as well as the USA’s currency. 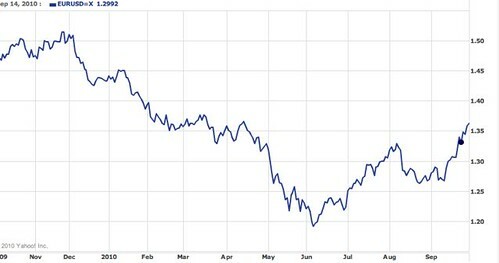 This chart from finance.yahoo.com shows that as of yesterday the dollar had fallen from about $1.20 to buy one euro to $1.37 to buy the same euro. Since the dollar is the currency of the USA and Ecuador… residents in both countries need to spread their savings and investments into other currencies. Welcome to October. Our message last week, October Investment Risk warned about the Ides of October and how this can be a bewitching month. Already on the first day of October we can see several events that could create havoc in global stock markets. First, the falling US dollar as shown above. Risk adverse investors have been fleeing to dollar bonds. Now where will they go? The ensuing confusion will not be good. Strikes in Europe. One of our readers who is headed to Ecuador shared this note: Hello from rainy Brussels where I am stuck for an extra two days because of air traffic control strikes which shut down Belgian airspace until tonight. I am so glad to be away from Europe. The Spanish and French Air Traffic Controllers have also been on strike for the last few days so traveling by air in Europe is really challenging. Plus a French railway strike started last Thursday. Strikes in Ecuador. Latin America has been one of the strong performing market segments so instability in this region could be a spark for an October run as well. Add them together and…. who knows, but you have been warned. There are great opportunities created by potential problems. In fact these difficulties are currently creating profit for me. Take for example the opportunity in the falling US dollar. In a message Portfoilo Allocations 1-2010 January 14, 2010, I wrote how I had borrowed the equivalent of 9% of my portfolio in US dollars to invest in Mexican peso, New Zealand and Australian dollars. 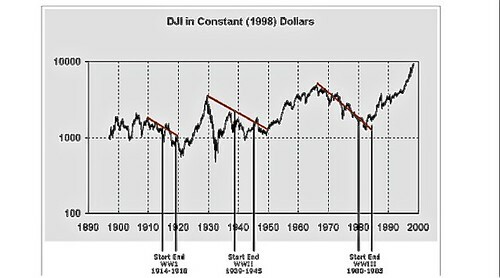 In another message Global Multi Currency Economic Update July 1, 2010, I wrote: The biggest of the seven trends I have cashed in on over the past 42 years has been the declining US dollar. There are several ways to speculate against the greenback. Personally I use the multi currency sandwich. I borrow dollars at low interest rates and invest the funds on dollar related currencies…. currently the New Zealand, Canadian, Australian dollars and Mexican peso. This is a slow, partly hedged speculation versus the dollar… but forex profits are not my main goal. The interest differential is what assures my profit… if I can wait for the dollar to drop. My loan cost on dollar loans is currently below 3%. My average yield is 6.31% so I am paid about 3.31% to borrow the dollar. Plus I have Forex profit potential. So far the year, this loan has been paying me $9,930, plus as the dollar falls I have a chance of a nice extra forex profit over the year. 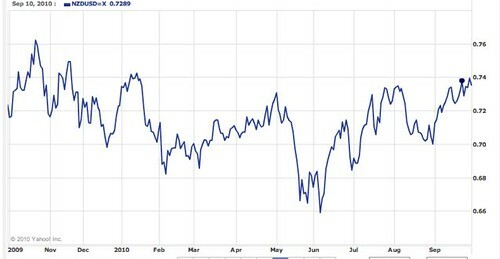 As another chart (of the Mexican peso to the US dollar) from finance.yahoo.com shows, there have been ups and downs all year, but I have made a nice forex profit on the peso I made the loan in 2009. Plus there could be more forex profit if the September 30, 2010 Bloomberg article entitled “Mexico Peso Set for Biggest Gain in 19 Months on U.S. Housing, Employment” by Jonathan J. Levin is correct. This article says: Mexico’s peso is headed to its biggest monthly gain since February 2009 after U.S. housing and employment data limited speculation that the country’s biggest export market may return to recession. The peso rose 5.2 percent to 12.5511 per dollar at 9:58 a.m. New York time, from 13.2046 on Aug. 31, the best- performing major Latin American currency tracked by Bloomberg. It gained 2.5 percent during the third quarter. The U.S. buys 80 percent of Mexico’s exports. U.S. initial jobless claims decreased more than forecast, by 16,000 to 453,000 in the week ended Sept. 25, Labor Department figures showed today in Washington. Claims were projected to fall to 460,000, according to the median forecast of 47 economists surveyed by Bloomberg News. Builders broke ground on 598,000 homes at an annual rate in August, up 10.5 percent and the most since April, the Commerce Department said Sept. 21. The yield on Mexico’s 10 percent bond due in 2024 rose four basis points, or 0.04 percentage point, to 6.48 percent, according to Banco Santander SA. The price of the security fell 0.5 centavo to 132.58 centavos per peso. Plus my bonds in Australian and New Zealand dollars have brought a forex profit as well as the finance.yahoo.com charts show. The Kiwi forex profit is not much… but keep in mind my loan has cost 3% the Kiwi dollar bond has paid me 5.38%. This does not mean you should run out and invest in Mexican, Australian and New Zealand dollar bonds. This was the ripe investment a year ago. Now with investors rushing into bonds… prices are not as attractive. They may fit as part of one’s portfolio, but we have been looking more at high yield equities. We’ll review 54 such equities in dollars, Singapore dollars, euro and other currencies at our October seminar. Plus there is opportunity in real estate… almost everywhere. Plunging real estate prices…. low interest rates and future inflation are three ingredients for explosive profits. One of the high yielding shares shares I like philosophically is the Suntec REIT in Singapore. Real estate makes a lot of sense to me now. Real estate prices have been crashing and creating some great values. Asian real estate makes a lot of sense and Singapore is one of the most trustworthy places to invest in Asia. Suntec Real Estate Investment Trust (SUN SP) is one of two Singapore-traded REITs controlled by Hong Kong billionaire Li Ka-shing. Li used to be a neighbor long ago when I lived in Hong Kong and is very shrewd, needless to say. Singapore has allowed two casinos to open. I am sad to see this as Singapore used to have strict attitudes about gambling and casinos. Lee Kuan Yew once said there would never be a casino in Singapore but these are two lavish locations opened in 2010, that will attract tourists and gamblers. Suntec’s main property is next door. With just two casinos Singapore has already become a rival to Las Vegas. 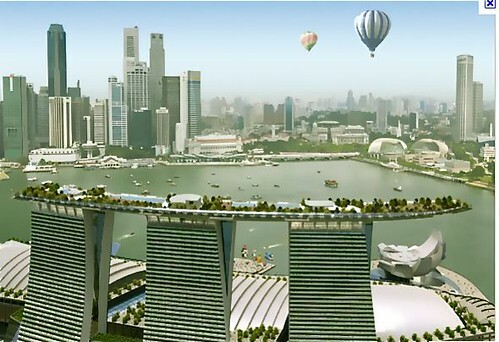 Second quarter 2010 winnings put Singapore on track to have a $4 billion casino market on an annualized basis according to the Wall Street Journal. That’s just 20% below what Las Vegas is expected to do this year. Suntec REIT’s has office and retail property next to the new casinos. Suntecs office portfolio has 97.6% occupancy while the retail portfolio has 98.7% occupancy. Asia has great potential and the Singapore dollar has excellent underpinnings. The good thing about REITs is their stable dividends,” this time when bank deposits have very low interest. Individual investors pay zero tax on the distributions, regardless of their nationality. Singapore-listed REITs are required to distribute at least 90% of their taxable income to unitholders, which makes them more attractive to those seeking dividends. Suntec REIT ticker symbol of (SUN.Singapore), owns premium retail and office properties in Singapore next to new casinos. The company has paid uninterrupted dividends every quarter since it went public in 2007. Smaller investors can participate in this trend also as there are numerous US mutual funds that invest in these type of shares. A September 20, 2010 Morningstar article “Yield to Yield – Some dividend funds offer more, or less, than investors bargain for” by Katie Rushkewicz says: Income-seeking investors have been in a tough spot lately. Bond, CD, and money market yields are paltry. Pitiful fixed-income yields might make stock dividend yields look attractive by comparison, but they come with extra company-specific and market risk. The 15% tax rate that most stock dividends have enjoyed for the past seven years could expire at the end of the 2010. However, more companies seem well-situated to reinstate or increase their payouts after using the aftermath of the financial crisis to pay down debt, bolster balance sheets, and amass cash. Some high-quality companies, like Johnson & Johnson JNJ, even offer dividend yields higher than the yields on their 10-year corporate bonds. This rare phenomenon makes dividend-paying stocks more appealing to income-seeking investors. 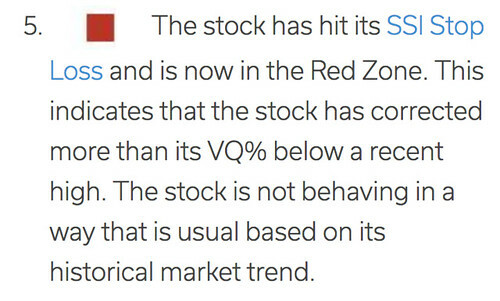 So does market volatility, because dividend-paying companies tend to be defensive. Dividend funds can assume many identities, so it’s important to know what you’re getting into before buying. Some fund shops and managers have built long, successful track records using dividend-focused strategies. * Legg Mason ClearBridge Equity Income Builder (SOPAX) – Minimum investment $1,000. * Vanguard Dividend Growth (VDIGX) – Minimum investment $3,000. * American Funds Washington Mutual (AWSHX) – Minimum investment $250. 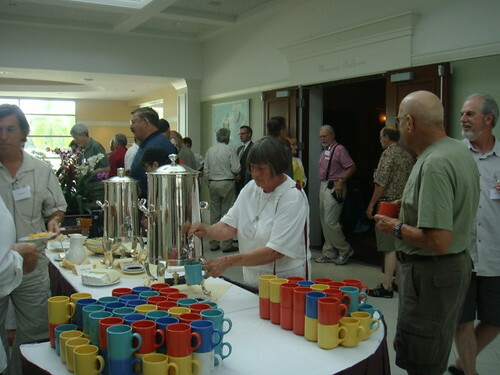 Join us next week at our North Carolina Conference, Autumn in the Blue Ridge. Learn about real estate in the USA, Ecuador and Singapore as well as see a review of 54 high yielding shares. 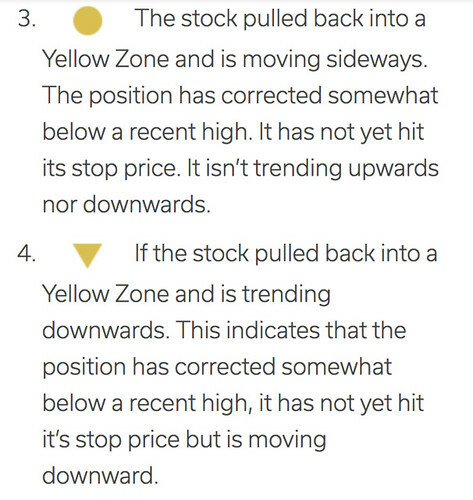 We’ll see a global investing major market value update in a moment. First, let’s look at this important data that Thomas Fischer at Jyske Global Asset Management (JGAM) just shared. Thomas began his banking career in 1975. In 1978 he started in the trading room as a Foreign Exchange dealer, and spent the next 22 years trading currencies. During this trading career he spent 2 years in London and 10 years in Germany where he was head of the international currency section of a major German brokerage company. 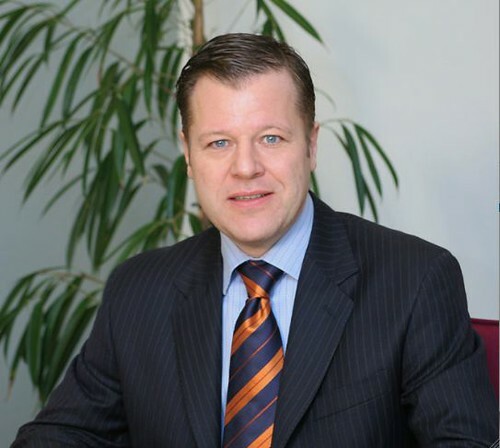 In 2008 Thomas joined the newly established Portfolio Management Company Jyske Global Asset Management (JGAM), as Senior Vice President. 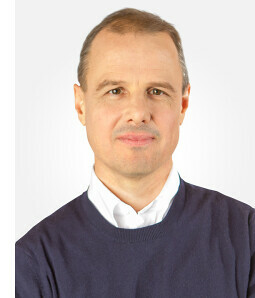 He is a member of JGAM’s Investment Committee focusing on our Foreign Exchange strategy. He travels the world giving presentations about the markets and the investment opportunities at JGAM. Yesterday’s message Global Investment Portfolios Focus looked at JGAM’s medium risk international investment portfolio. This portfolio has been updated and Thomas wrote: On July 15 JGAM’s Investment Committee held its monthly meeting, deciding on how to invest our managed portfolios. All trades agreed at the meeting have now been carried out and therefore we can publish the changes we have made. The overall asset allocation remained at a neutral position in all asset classes except for a small overweight position on cash in low and medium risk portfolios. However Thomas added more. Here is information on what the future that we should all be thinking about. The markets have been caught in a verbal fight between optimists and pessimists. The latter group most prominently presented by Princeton University Economist Paul Krugman, has warned policy makers that the world is heading for the worst depression since the thirties. Mr. Krugman has on many occasions warned that the US is in danger of falling into a deflationary trap. 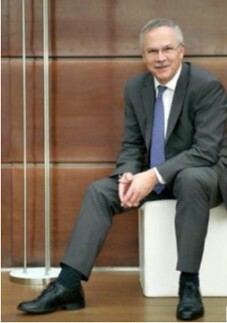 He is advocating for a much more aggressive stimulus plan as unemployment remains stubbornly high, with little job creation at private companies. The Federal Reserve Chairman Ben Bernanke however, has been more optimistic and recently expressed that the US economy is on track to continue to expand in 2010 and 2011. World trade is up 20% year-on-year but is recovering from extremely low levels. The optimists also argue, that the corporate sector should start investing soon and thereby improve the employment picture. When the corporate sector increases spending, nominal growth should pick up and help improve budget deficits. According to The Economist magazine, the recent uncertainty may be down to a fundamental battle between bond investors who benefit from a debt deflation solution to the current crisis; and equity investors who gain more from a nominal growth solution to deficits. The jury is still out and with no clear indication of where we are heading, uncertainty will rule the market. We still believe that we are heading for a recovery and a growth scenario, but as long as the “war” between optimists and pessimists are raging in the media we maintain our neutral positions. After four consecutive quarters with rising equity prices, Global equities had their first down quarter since March 2009. In the second quarter 2010, the Morgan Stanley Capital International (MSCI) World Total Return Index (with net dividends reinvested, December 1969 = 100) declined 11.2 % in local currencies, 12.7 % in US dollars and 3.5 % in euros. So who will win out… the optimists or the pessimists? Personally I am prepared for either scenario. In our last International Investing & Business Conference we looked at seven places to inest now that can prosper in either a positive or negative economic scenario. Value holds a special place for investors and business people… local or global because value is another way of seeing distortions. Distortions are vacuums and nature abhors a vacuum. Imbalances will always correct themselves. To have success in investing or business… one simply has to spot good value. For the last quarter to the end of June 2010, Keppler points out that year to date, the MSCI World Index lost 7.1 % in local currencies and 9.8 % in US dollars. 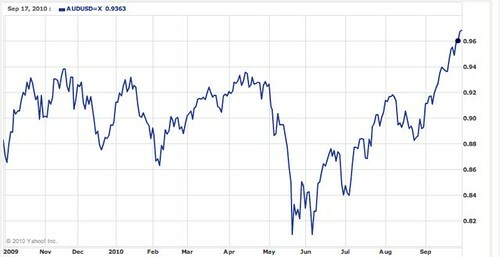 However, due to the 14.6 percent decline of the US dollar to 1.2249 versus the euro, the world equity benchmark index gained 5.6 % during the last six months, if performance is measured in euros. Two markets advanced in the second quarter and sixteen declined. Denmark (+4.5 %), Sweden (+0.3 %) and Singapore (-0.1 %) performed best. Japan (-14.8 %), Austria (-14.3 %) and Italy (-13.4 %) came in at the bottom. Year-to-date, four markets are up and fourteen markets are down. The best performing markets in the first half of 2010 were Denmark (+21.7 %), Sweden (+8.8 %) and Belgium (+1.2 %). Spain (-21.4 %), Italy (-14.8 %) and Norway (-13.7 %) performed worst year-to-date. Performance numbers are in local currencies unless mentioned otherwise. The Top Value Model Portfolio currently contains the following six “buy” rated countries at equal weights: Austria, France, Germany, Italy, Singapore and the United Kingdom. Keppler’s current ratings suggest that a combination of these markets offers the highest expectation of long-term risk-adjusted returns. Keppler’s neutral value markets are now: Australia, Japan, Netherlands, Norway, Spain. The low value (sell) markets are: Belgium, Canada, Denmark, Hong Kong, Sweden, Switzerland and USA. 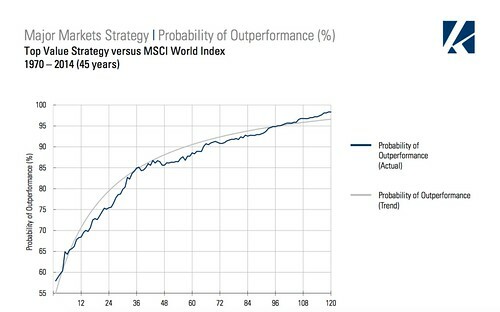 Keppler also added: As the chart below indicates, our implicit three-to-five-year projection for the average annual gain of the Equally-Weighted World Index now stands at 14.3 % p.a., up from 11.9 % three months ago. The two main reasons for this increase are (1) the Index dropped by 9 % during the second quarter and (2) fundamentals have improved: Earnings are up 16.6 % — the larger part of the increase coming from disappearing write-offs — and dividends grew by 4.1 %. In addition, the low interest rate environment makes stocks look attractive. Keppler’s implicit three-to-five- year projection provides some profound clues about how to invest and conduct business ahead. His statistics suggest to me that the economy and markets are still going to grow. The pessimists… according to my interpretation of these numbers… lose. This is not the only indicator I track that suggests positive days ahead… not immediately… but over the next three to five years. From now until October offers a special micro window of opportunity…. maybe one of two before 2002… when the next 15 to 17 year bull cycle will begin. Right now seasonality is dragging markets down until around November. Perhaps we’ll see one more good bear pull April to November 2011. Then the recovery will begin in earnest. From now until then, history suggests times will be bleakest… a great time to find good value. Summer has arrived in Denmark and we are basking in glorious sunshine. We hope the weather will “perform” for the next few months and thus create a warm background for our August Copenhagen seminar. When we forwarded the invitation in April the price was approx. $2,050 per person in a double room, but since then the USD has strengthened against the Danish Kroner and the price today is approx. $1,700. The price includes accommodation including breakfast at the Copenhagen Marriott Hotel just voted the best hotel in Denmark, reception at our offices, seminar fee, excursions, lunches and a gala dinner with entertainment and dancing. 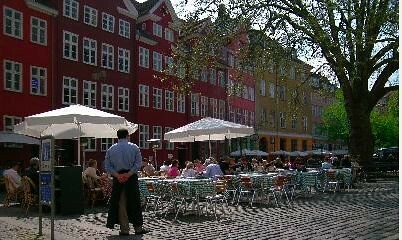 Danes have been voted the happiest people in the world and now we also have the best restaurant in the World. The restaurant is called NOMA which is a concatenation of the two Nordic names Nordisk (Nordic) and mad (food). The chef, Rene Redzepi, uses only Scandinavian ingredients and how about this for a starter: crunchy baby carrots served with edible “soil” made from malt, hazelnuts and beer, with a cream herb emulsion beneath. Our slogan “Global investments with a personal touch” is not just a slogan we really enjoy any opportunity to meet with our clients and friends. We sincerely hope that you will join us in August in Wonderful Copenhagen. Merri and I hope to meet you in Denmark in August! 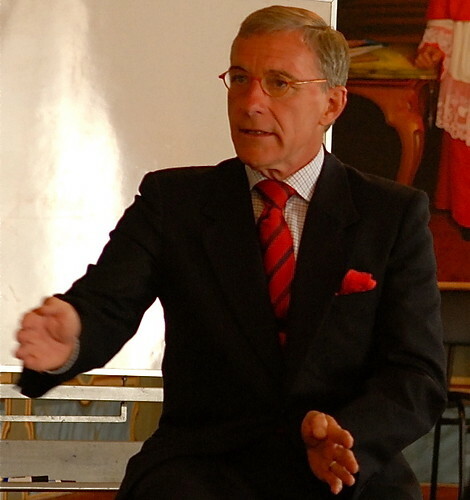 Jyske Global Asset Management seminars in 2010 may help your portfolio survive and grow. Sadly at a time when American investors need more multi currency investments and a better global view, overseas banks are increasingly restricted from helping US investors. Anti tax evasion, money laundering and anti terrorism regulations have created so many regulations on banks that increasing numbers of overseas banks have stopped accepting US investors. Yet at this crucial time when the US dollar has great fundamental weakness, US banks have little experience in helping its clients invest in other currencies. This is why Jyske Banks upcoming April 2010 Forex Seminar in California may be helpful to you. I talked about green investing with these speakers at the Jyske 2009 Naples seminar. 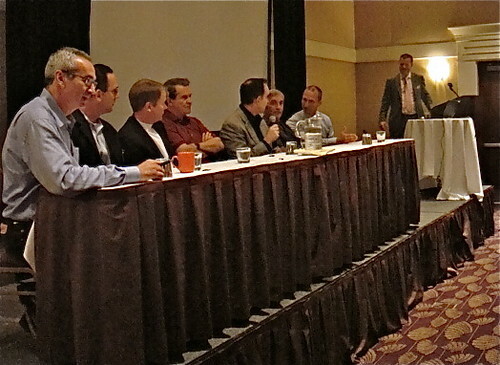 Here I am with other speakers, Left to right: Samuel Rachlin, Rich Checkan, Steve Blumenthal, Joe Cox, John Mauldin, Gary Scott, Lars Stouge. Thomas Fischer Moderating. Fortunately for me and readers, Jyske Bank in April 2008 set up Jyske Global Asset management as an Asset Management Company servicing US clients called JGAM. During the first 9 months JGAM had to help their US clients cope with the worst financial crisis since the thirties. They changed the investment strategy accordingly and over weighted their clinets portfolios in defensive investments. 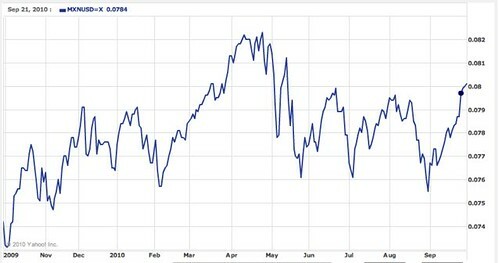 During 2009 they became cautious optimists and began increasing the exposure towards equities and corporate bonds. All investment decisions in JGAM are carried out by an Investment Committee who meet at least once a month. Every member in the committee has responsibility for an asset class. JGAM offers a number of portfolio’s depending on the size ranging from low risk to high risk… with or without leverage. Since May of 2009 JGAM also offers managed IRA accounts. JGAM’s portfolios have performed very well in 2009 and the performance opf their client’s portfolios range from 10-33% depending on size and risk profile. The IRA portfolios which were established in May 2009 has returned between 12% – 18%. JGAM offers two types of multi currency service for US investors. US investors can have a fully managed portfolio or have an advisory account where they make their own decisions. For clients living in the US the advisory accounts come with many investment restrictions. Managed portfolios are best for most US resident Americans. Americans living outside the US can have advisory accounts without limitations regarding the investments. Jyske Bank Copenhagen is the custodian for all JGAM accounts and for larger clients Jyske offers a VISA debit card associated with the account. The VISA card comes with restrictions. It is a debit not credit card and normally requires a minimum balance of two times the spending limit PLUS a minimum investment account with JGAM of $50,000. JGAM maintains a close relationship with its clients, makes regular visit to the US and provides a direct phone line for each client to an investment adviser. JGAM also visits its clients in Ecuador as they participate in seminars that I and International Living conduct in Ecuador. Beginning in 2009 JGAM also started conducting their own seminars. 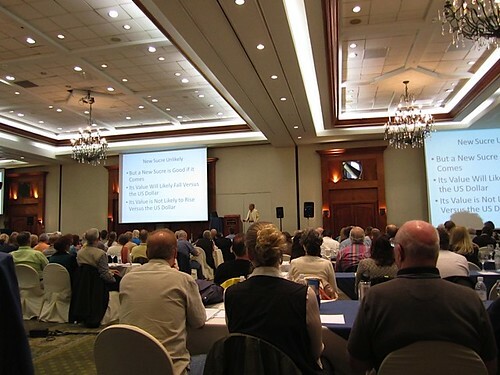 Last years seminar was in Naples Florida. One benefit of these seminars is talking to an overseas banker. 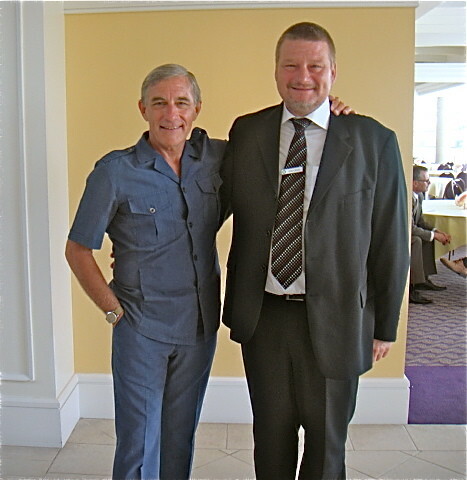 Here I am at the seminar with my Jyske account executive Anders Nielsen. 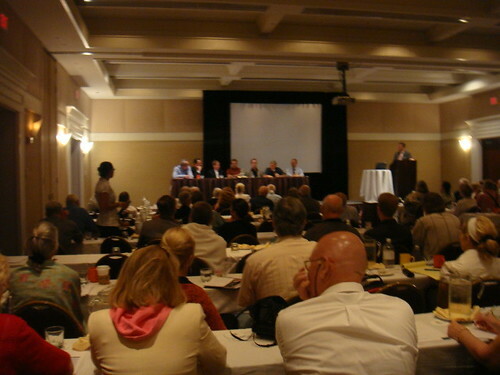 In April 2010 JGAM will conduct a Foreign Exchange seminar in Laguna Beach California. 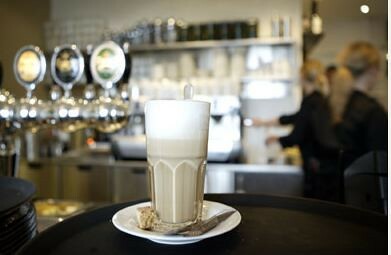 In August JGAM will venture with Jyske Bank to conduct a seminar in Copenhagen. JGAM is a fee based only company. Their only objective is to make money for their clients. All JGAM employees, as with Jyske Bank, are on a fixed salary WITHOUT BONUSES. 2009 was an extraordinary year and JGAM does not expect a repeat in 2010 as they expect central banks to begin withdrawing liquidity from the market. 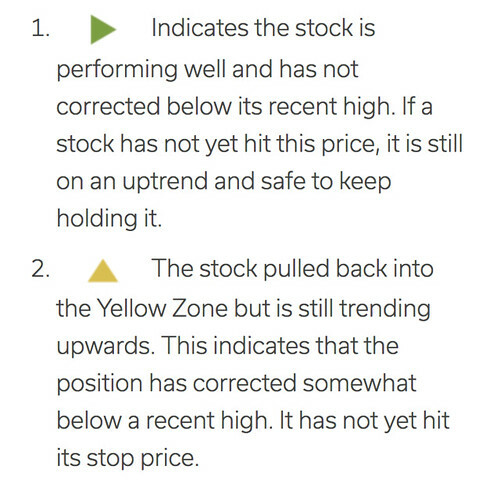 JGAM does expect some interesting theme based investments in 2010. Clean energy will probably play an important role as governments across the globe focuses on the climate. JGAM believes that the “climate aspect” has to be integrated into future investments, and that such a strategy can offer good returns. They have already invested in iShares S&P Global Clean Energy Index. 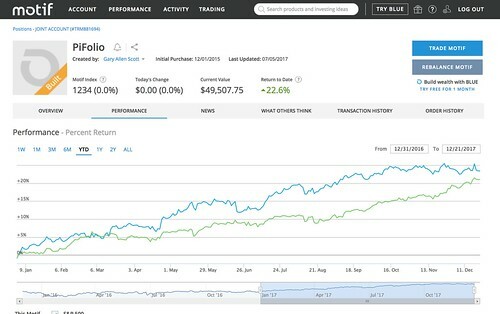 This Exchange Traded Funds (ETF) aims to track the S&P Global Clean Energy Index and offers exposure to 30 of the largest publicly listed companies around the world that are involved in clean energy related businesses. JGAM expects many country’s to tighten monetary policy (Australia and Norway have already started) which will create tension and volatility in the currency market. JGAM plans to take advantage of these investment possibilities also in 2010. Merri and I will join JGAM at their Laguna Beach seminar where you can be introduced to foreign exchange trading and investing in general. I will speak at the seminar and review my portfolio… why… what and what if. The Laguna Beach forex seminar will be conducted 30 April to 2 May 2010. • network with currency experts and JGAM’s experts.